The finalized set list for Guitar Hero 5 has been revealed. While certainly a bit more "pop" than its predecessors, there's still plenty of hard rockin' tunes. Dire Straits is a welcome addition to the franchise, appearing for the first time with one of their best tunes, "Sultans of Swing". Live versions of a handful songs are on the list, notably "Lithium" by Nirvana and "Spirit of Radio" by Rush (wewt). 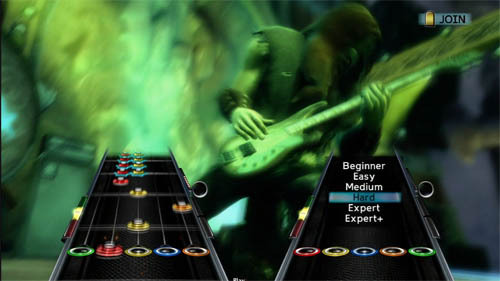 With the welcome addition of drop in/drop out co-op rockin', Guitar Hero 5 is certainly intriguing. It might just be the shot in the arm the faltering franchise needs.